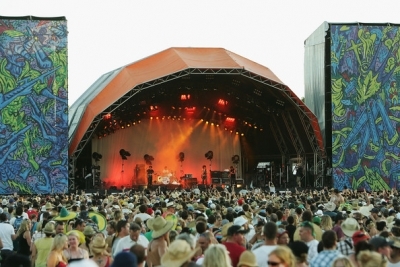 The Big Day Out is an annual music festival held in several cities in Australia and New Zealand in late January. The event is Australia's longest running and largest annual music festival, accommodating popular contemporary rock music, electronic music, mainstream international acts and local acts. The event's name is synonymous with the bands it attracts. With up to eight stages of bands playing a range of musical tastes and flavours, the BDO has something for every music lover to feast on. BDO will be returning to Adelaide bigger and better than ever, with swag loads of local and international acts. In 2010, BDO saw the likes of Muse, Powderfinger, Lily Allen, Mastodon and Dizzee Rascal, making it a truly diverse musical event. Get set for 2013, as the lineup is sure to make more than a few jaws drop and cementing this fantastic event in Australia's musical history. So don't miss your chance to enjoy a Big Day Out with your friends and favourite bands. BookToday has a wide range of Big Day Out accommodation options. Come and be a part of the musical energy taking Adelaide by storm. We have the best budget accommodation deals in Adelaide. If you require further assistance with your booking, please call 1300 733 274 and speak with one of our friendly customer service assistants.